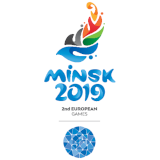 Dean Clancy and Dearbhla Rooney will now fight for bronze in the men’s and women’s flyweight categories respectively following losses in today’s bouts while Miriam Daly achieved 62.15 in the women’s 400m hurdles. Dean Clancy was defeated by Team GB’s Ivan Price in the men’s fly (49-52kg) semi-finals today. The Ballinacarrow native looked to dominate the first and third rounds, but the eventual win was awarded to Price in a unanimous decision, with Clancy winning the first round and Price taking the second and third. Tomorrow Clancy competes in the bronze medal bout against Brazilian Luiz Gabriel Chalot de Oliviera at 17:15 Irish time. 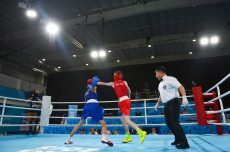 Dearbhla Rooney was unlucky in the women’s feather (54-57kg) semi-finals to lose out to Thailand boxer Somnuek Panpatchara in a split decision. She will now face New Zealand’s Te Mania Rzeka Tai Shelford-Edmonds in the fight for bronze. In the women’s 400m hurdles stage two Carrick-on-Suir’s Miriam Daly finished with a time of 62.25, over half a second faster than her time of 62.72 in stage one on Saturday, and just over a second off her PB of 61.32. 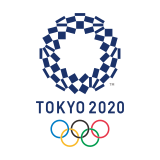 Day eleven, the second last day of the Youth Olympic Games will see Dean Clancy and Dearbhla Rooney in action in the men’s and women’s flyweight category’s respectively each fighting for bronze medals. Tanya Watson will partake in the Mixed International event.